How do we receive blessings from God? Sometimes we're tempted to think that God will bless us because we are so nice, so religious, or so intelligent. In Galatians 3:1-9, the Apostle Paul shows that every blessing of the Christian life - from first to last - comes through faith, not works. What is Christianity all about? Is it about rules and ceremonies? Is it about who your parents were or where you were born? 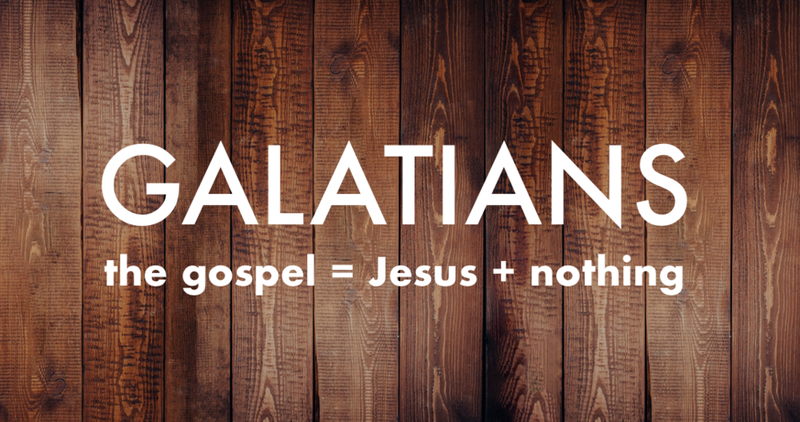 According to Galatians 2:15-21, Christianity is all about justification by faith alone, union with Christ alone, and righteousness by grace alone. Every single believer struggles with hypocrisy to one degree or another. In this section of Galatians 2, the Apostle Paul confronts Peter who was behaving out of step with the truth of the gospel. We learn that there is hope for recovering hypocrites like Peter, like you, and like me. Was the message of Paul fake news or good news? In Galatians 1:11-2:10, Paul explains that we can trust his message because he didn't receive it from any man but directly from Jesus Christ.